iPhones come in varied form and design. Nowadays, there are already a lot of new technologies that have been invented to create satisfaction and convenience. One of them is the iPhone. There are models of iPhones. There are already a lot of sprouting different brands and models. There are even some imitations which aim to copy the beauty of an iPhone. However, they are not very successful. Imitations will really never prosper for they will never be able to create something good as a certain device unless they are going to have a thorough study of this and have their modified versions. Two of the mostly loved iPhones are the iPhone 4G and the iPhone 4G. There are no doubts about the wonderful features of these iPhones. They both have their different features that make them a very unique from the rest of the other brands. As of today, these two are really the leader in the iPhone industry. To compare the two hot iPhones, let us all see what makes the other a different thing to the other. We will also be trying to compare their performance and the way they make our tasks easier and faster. In terms of the price, there is a very big difference. The iPhone 4G costs $ 199 for the 16 GB. $ 299 is for the iPhone 4G a 32GB. On the other hand, the iPhone 3Gs only costs $ 49. There are a lot of things to consider in buying something. One is the price. But then you have to consider that there are really those priceless things. Look for a more valuable. The second one is the display. For the iPhone 4G, there is a very high 960- by – 640 resolution retina display of this iPhone. It is multi-touch. The iPhone 3G has only a 480 – by – 320 resolutions. This one also is multi- touch. For the feature of video calling, the iPhone 4G can have the face time. Meaning, you can already see the face of the person you are calling. You will not imaging the face of the person you are calling for you can already see them through this feature. On the other hand, the iPhone 3G do not have this one. For the Video recording, there is also a difference of the two. The iPhone 4G is capable of doing a HP video recording, can Tap to focus while doing the recordings. This also has a Led light. On the other hand, the iPhone 3G is capable of doing the VGA Video recording. This can also tap to focus while doing the recordings. When it comes to the high technology, the iPhone 4G is multi-touch. It has a GPS, an accelerometer, a three-axis gyro, an apple A4 chip and dual-microphone noise suppression. 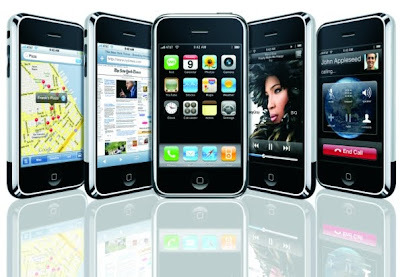 The iPhone 3G has also the other features except the three – axis gyro, the apple A4 chip and the dual- microphone noise suppression. Whatever is the difference; this still goes to show that the computer world is very wonderful. Enjoy the awe.